The Columbus Airport Commission publicly displays its Employment Opportunities regularly. Simply click the Available Position link below for additional information. Columbus Airport is owned and operated by the Airport Commission. We are the fourth busiest airport in the state of Georgia accommodating over 100,000 passengers annually. We look for individuals who have high ambition (professional and personal), great minds and a passion to provide world-class customer service to our passengers. High performance, efficiency and excellence are hallmarks of our culture, and we seek professionals who support our mission to provide all air travelers a safe and efficient gateway to the world. We have a solid reputation of exceeding customer expectations on a daily basis. The Columbus Airport team partners with world-class organizations including Delta Air Lines to deliver a high level of service excellence. The Airport’s first priority remains to accommodate the needs of our customers, including employees, passengers and visitors. You should be ready to dress for success, exhibit behaviors and a professional attitude that support our core values, and be a team player who can handle with aplomb the challenges and opportunities of working in a fast-pace environment. The Columbus Airport is the economic engine of Columbus, GA, generating $70.1 million to the regional economy. You have an opportunity to be part of a world-class organization. Our employees are our greatest asset. We recruit the most qualified people, recognizing and encouraging the value of diversity in the work place. We develop the full potential of our work force by providing training and development for career enhancement. We provide a work atmosphere that is safe, healthy, secure and also conscious of family and community goals. 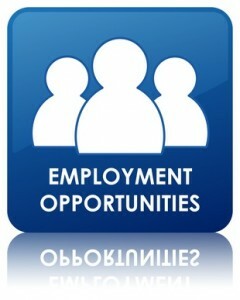 For possible job opportunities with airlines that operate at Columbus Airport, please contact www.dalgs.com click Jobs.